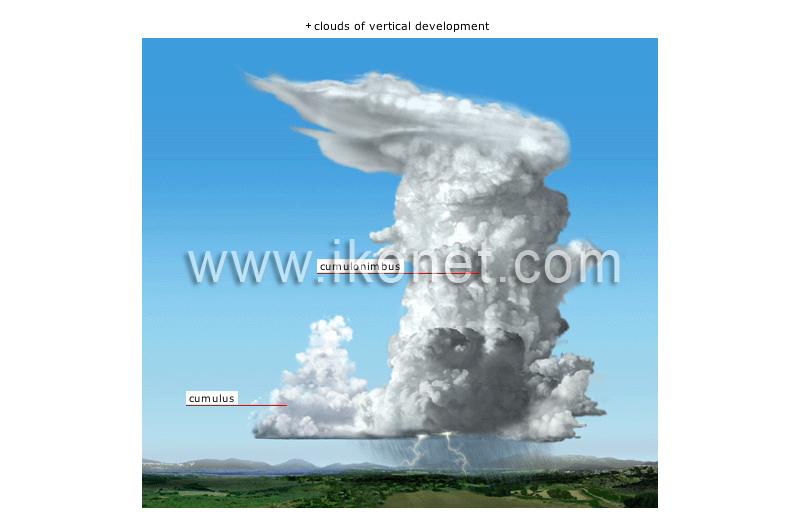 Clouds whose base is at low altitude but extend very high; the two types are cumulus and cumulonimbus. Very imposing cloud that can reach a thickness of 10 km and whose base is very dark; it can trigger violent precipitation. Fair-weather cloud with very clear contours; it has a gray, flat base and a white top with rounded protuberances.